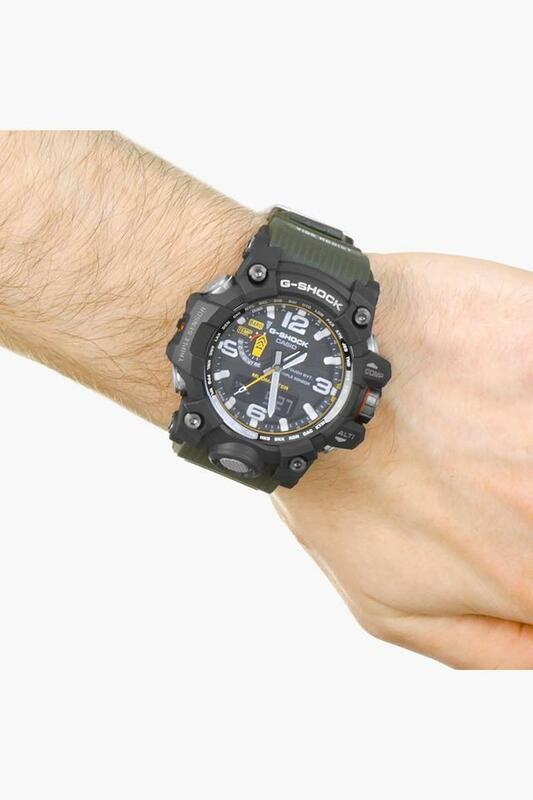 This is CASIO's first analog watch to come with Mud Resist construction, which helps to ensure that nothing gets into the watch when down and dirty work takes you deep into the dirt and sludge. Multiple gaskets are used on the pipes that guide buttons and shafts, which keeps mud out. These pipes not only act to protect buttons from impact, they also enhance button operation. 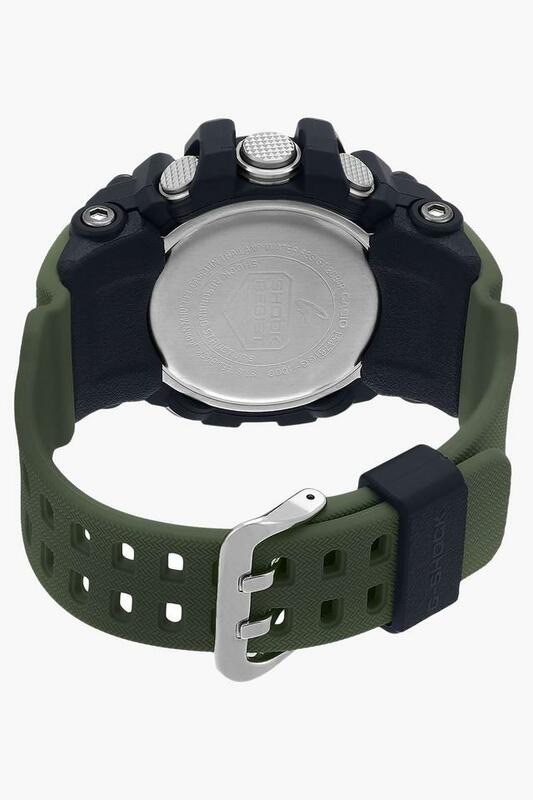 In addition, Triple Sensor Version 3 capabilities provide instant access to direction, barometric pressure, and temperature information when needed under tough conditions. The face is illuminated by a double LED light and protected by a sapphire crystal to ensure high visibility under virtually any conditions imaginable. Vibration Resistant Structure. Digital compass, barometric pressure/altitude, temperature readings. Double LED light illuminates the face and digital display for outstanding readability. Screw-in Crown. Multiband 6 (Automatically adjusts time settings based on reception of one of six time calibration signals around the globe: Japan (2), China, United States, England, Germany). New mud resistance & triple sensor, this new Mudmaster model was created especially for this whose work takes it into areas where piles of rubble, dirt, and debris are present.